Last night I watched Alien; a film I last viewed around ten years ago, and was once again struck by its utter brilliance. Although made in 1979, nothing about the film looks dated. Directed by Ridley Scott, this science fiction horror epic went on to win a heap of awards, including most deservedly, the Academy Award for Best Visual Effects for its Swiss surrealist painter, sculptor and set designer: HR Giger. Born in 1940 in Chur, Switzerland, Hans Rudolf Giger was the son of a chemist who viewed art as a ‘breadless profession’. In spite of the parental opposition, the young artist moved to Zurich where he studied architecture and industrial design. His work appeared in various magazines and he designed artwork for records, but it was his book of paintings: Necronomicon and Necronomicon II which swiftly brought him to prominence. When Ridley Scott was in pre-production on the film Alien, he came across the books and this particular drawing below, became the blueprint for – in my opinion – the most disturbing and frightening film monster. Ever. 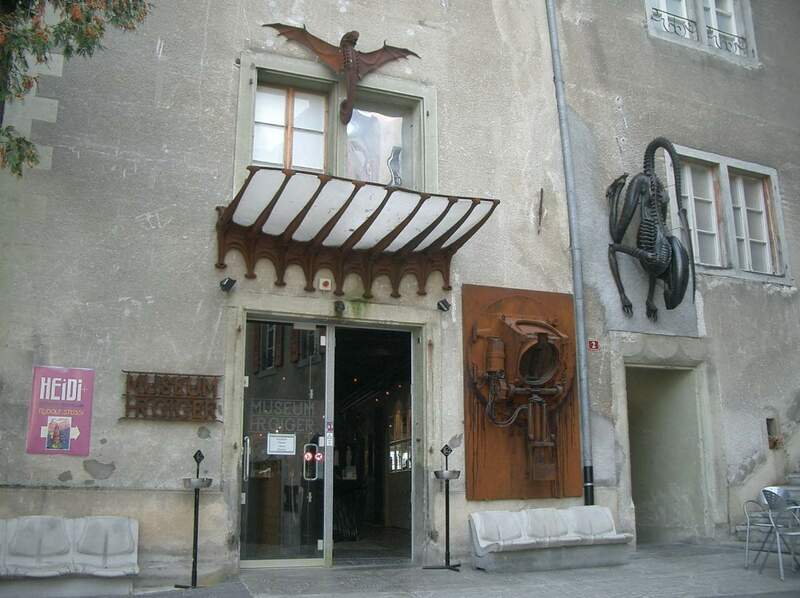 Imagine my surprise when a few years back, weighed down by an excessive cheese fondue lunch, I was strolling through the sleepy and unbelievably pretty (think ancient turrets and rolling green hills, dotted with shiny speckled cows) medieval town of Gruyère when I unexpectedly came across the HR Giger museum. 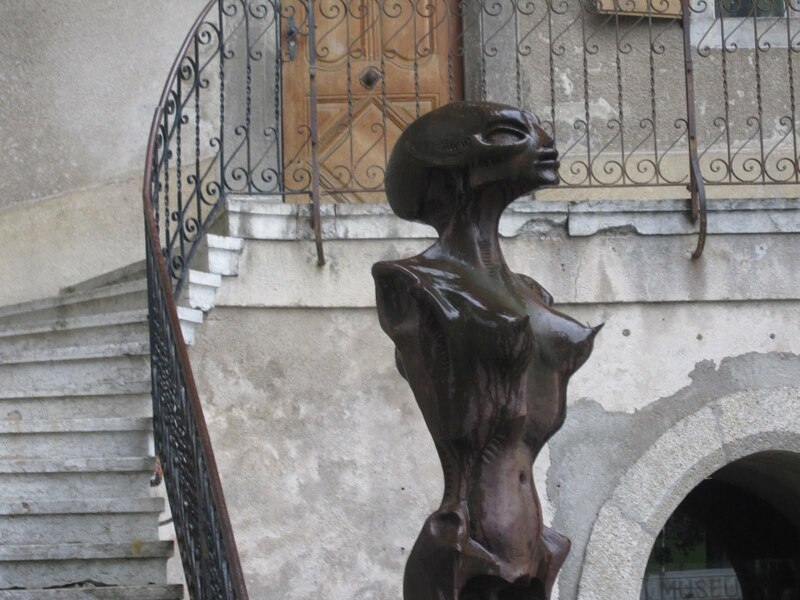 I tried to climb into Giger’s mind, albeit momentarily, to try to imagine what sort of demons could aid a man – born in such a such a serene part of the world – to create monochromatic, fetishistic, surreal nightmarish dreamscapes of this type. 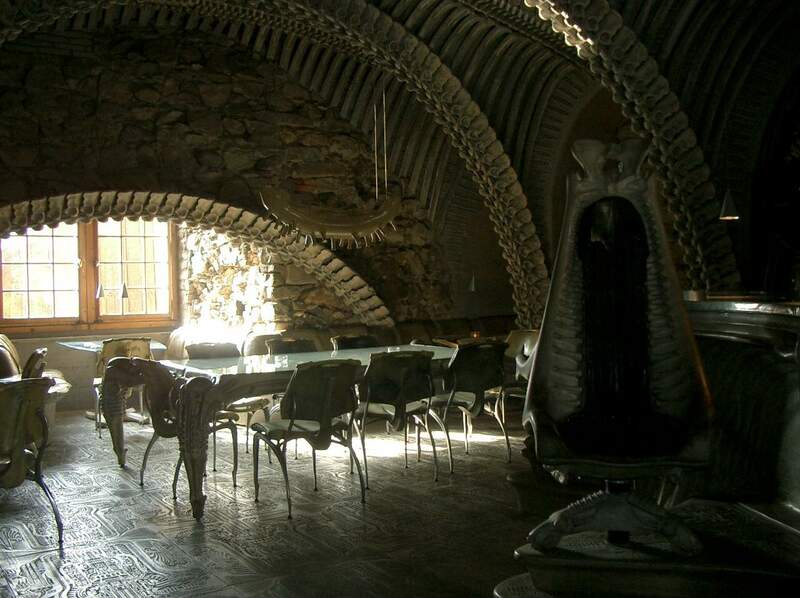 Was it down to a remarkable imagination, night terrors (the sleep disorder Giger allegedly suffers from) or simply the consumption of too much cheese?